(Self – released/Hemifran ) 2013. 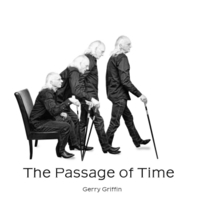 Singer/songwriter, multi-instrumentalist and producer Gerry Griffin is a uncertain artist and human being. “The Passage Of Time” is his 3rd album, where we can find 10 untypical songs here and there. He penned his tunes in different time periods, and we can find a several interesting spheres, as same as so call genres, in his authors views.